WarpThrough is a fast arcade inspired platformer with unique controls, a charming story and tons of replayability. Balance going through warpholes and keeping the monsters in check, make split second decisions to dodge your foes or take them down and help Charlotte, Three, Ebbie and Manor fight through enemies to save their dimension! 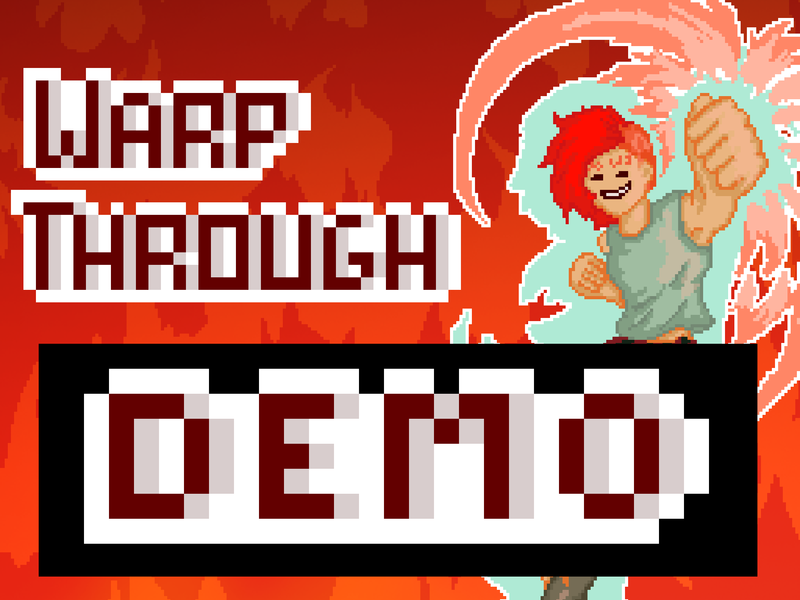 and help Charlotte, Three, Ebbie and Manor fight through enemies to save their dimension! You will choose WASD or the arrow keys when booting up the game for the first time. Those are the only keys you'll have to use in the entire game (along with Escape to bring up the pause menu). If you want to play locally with up to 3 friends, press Escape in-game to go into the pause menu, and increase the player count there. You can find & adjust what keys they use in the main menu. Download the .zip file, and unpackage it in a location of your chosing. Then go to warpthrough.exe and execute it. Your virus scanner may complain, as virus scanners think .exe files are scary. How to deal with this depends on your virus scanner, it can be as easy as clicking 'more information' and 'run anyway' with Windows Defender, or you may have to look into your scanner's quarantine and whitelist the files manually. If you have any trouble running the game, or encounter any errors or crashes, please email support@roofkatgames.com!